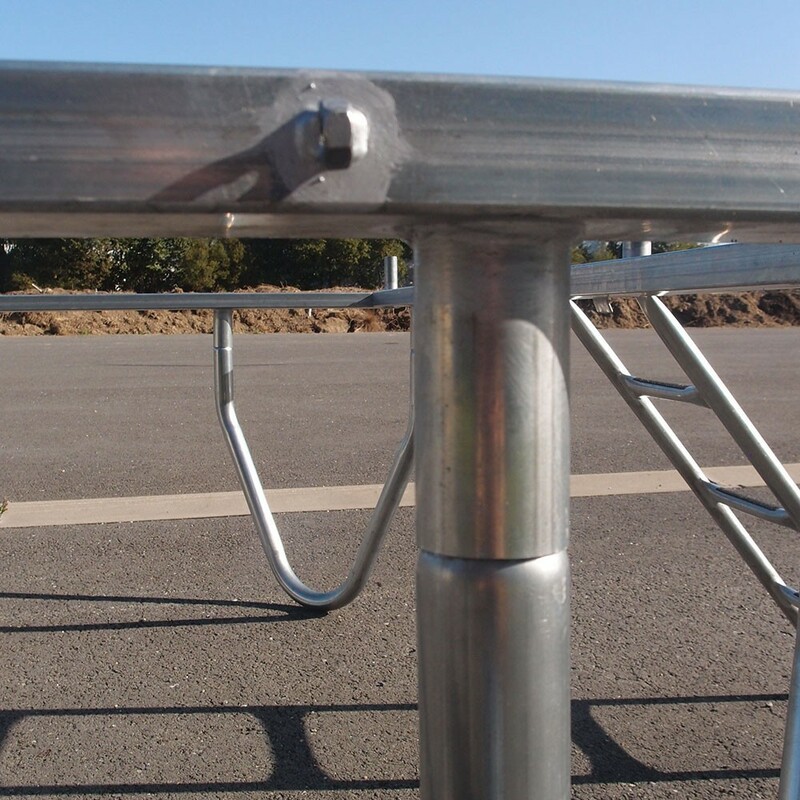 Install a Pro One trampoline compliant with public standards in your tourism facility. 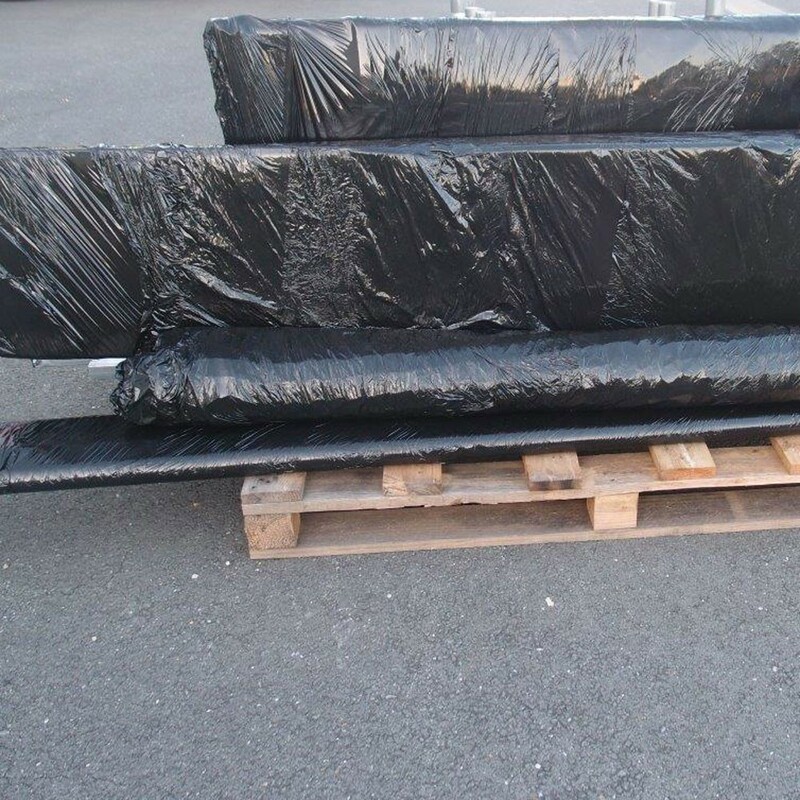 Approximate delivery time: 3-8 weeks after placing order. 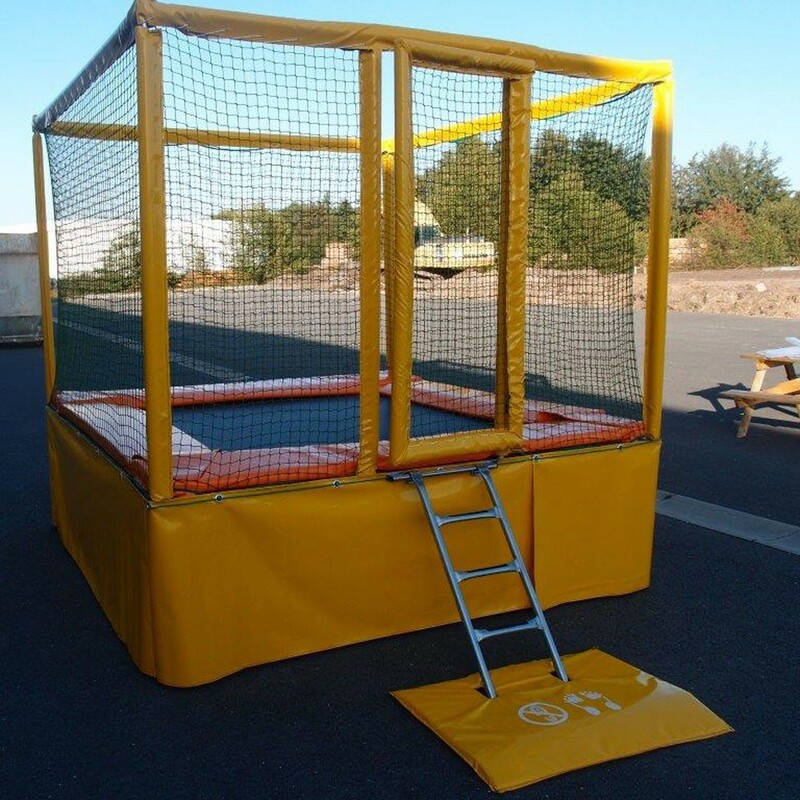 France Trampoline provides trampolines specially designed for tourism professionals (hotels, holiday homes, camp sites…) and leisure professionals (theme parks, leisure parks…). 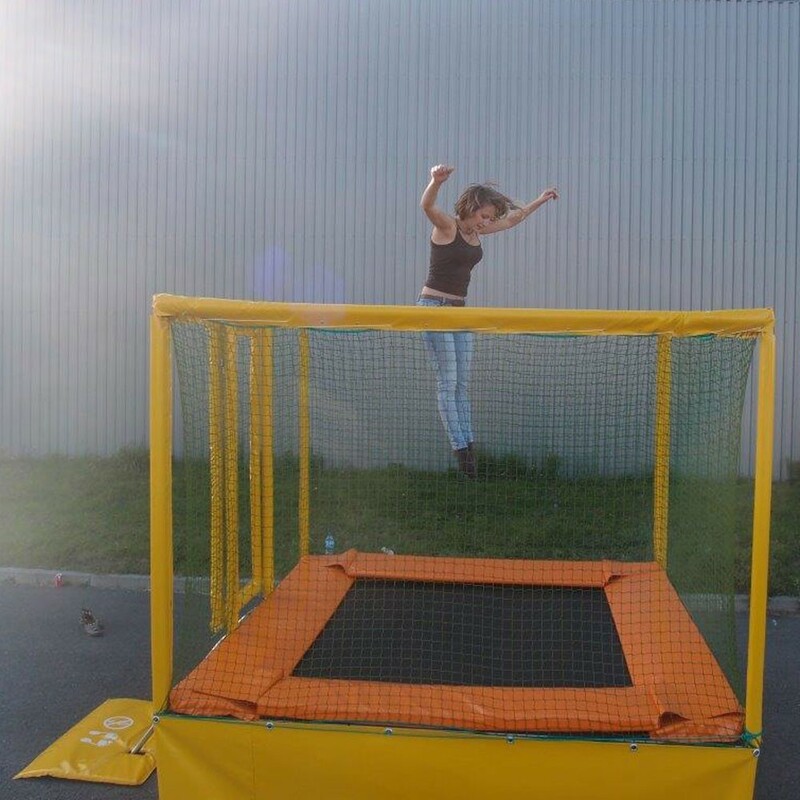 The Pro one square trampoline measures 265 x 265 cm and offers s sufficient area for a child or an adult. 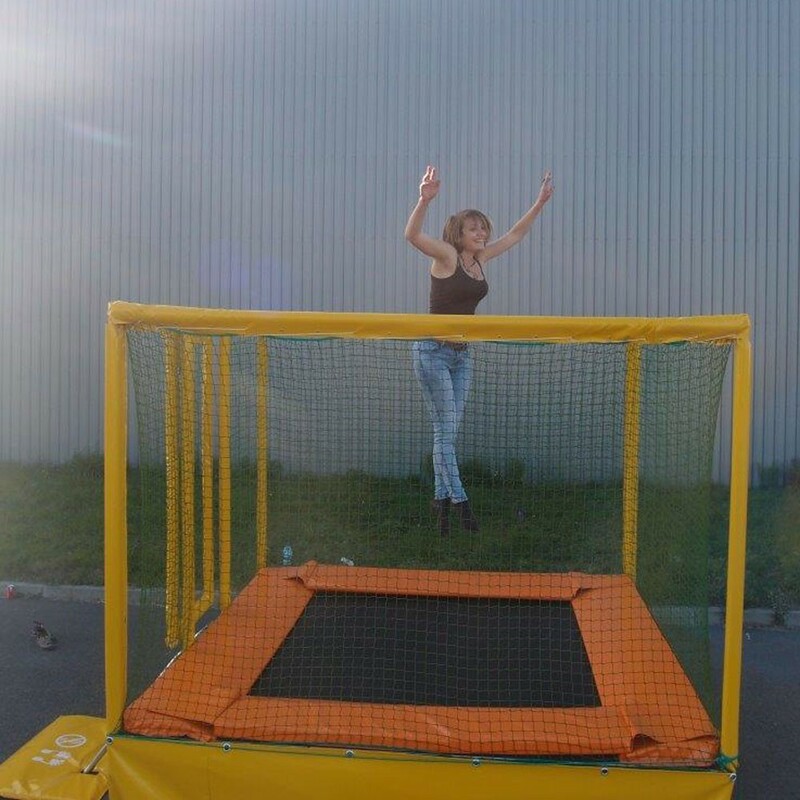 - This trampoline is designed for public use: it is equipped with a galvanized steel frame built for intensive use, whereas the leisure trampolines are generally designed with frames made of round tubes. 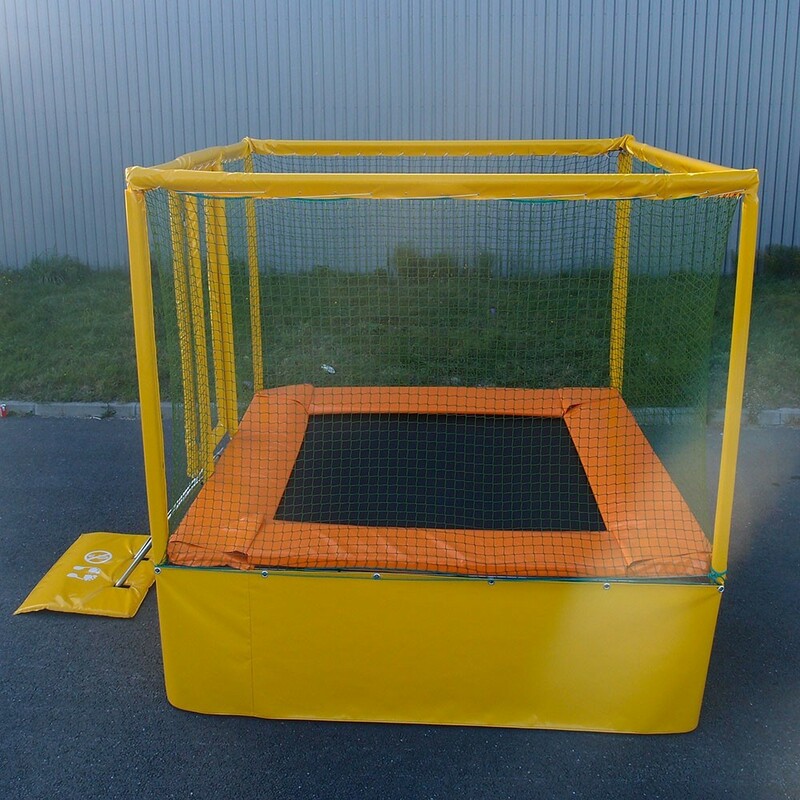 - The Pro One trampoline is provided with an enclosure that complies with all safety standards that apply to general public equipment. 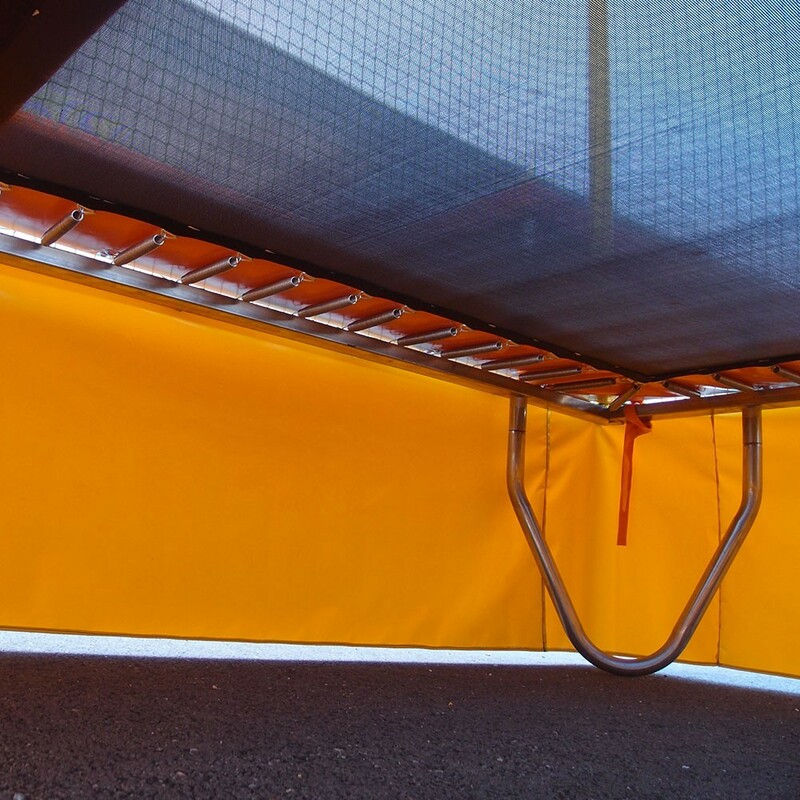 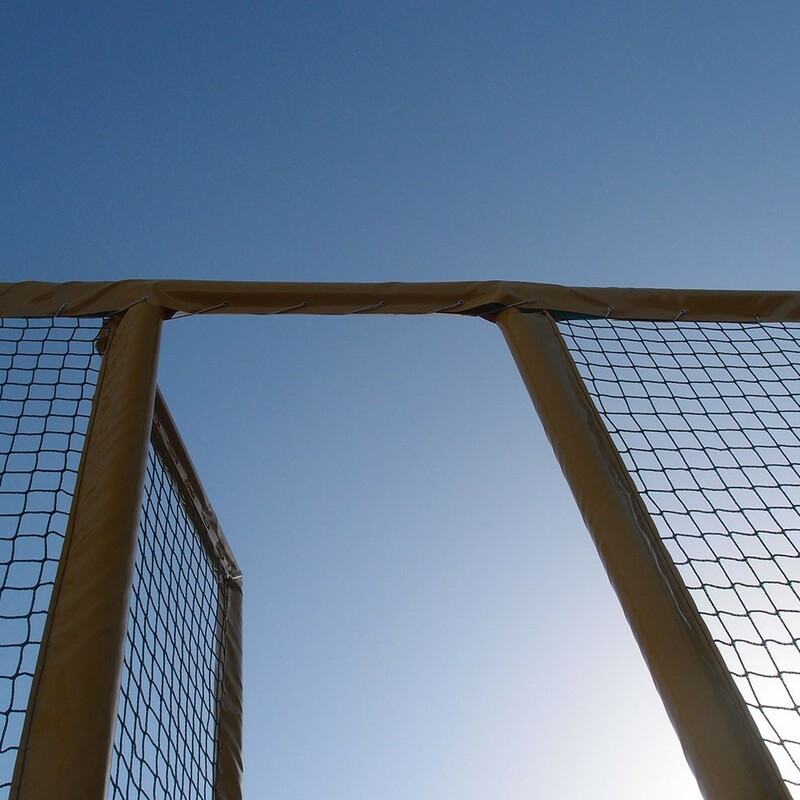 The enclosure is held in place by 6 steel posts covered with protective foam and PVC sleeves. 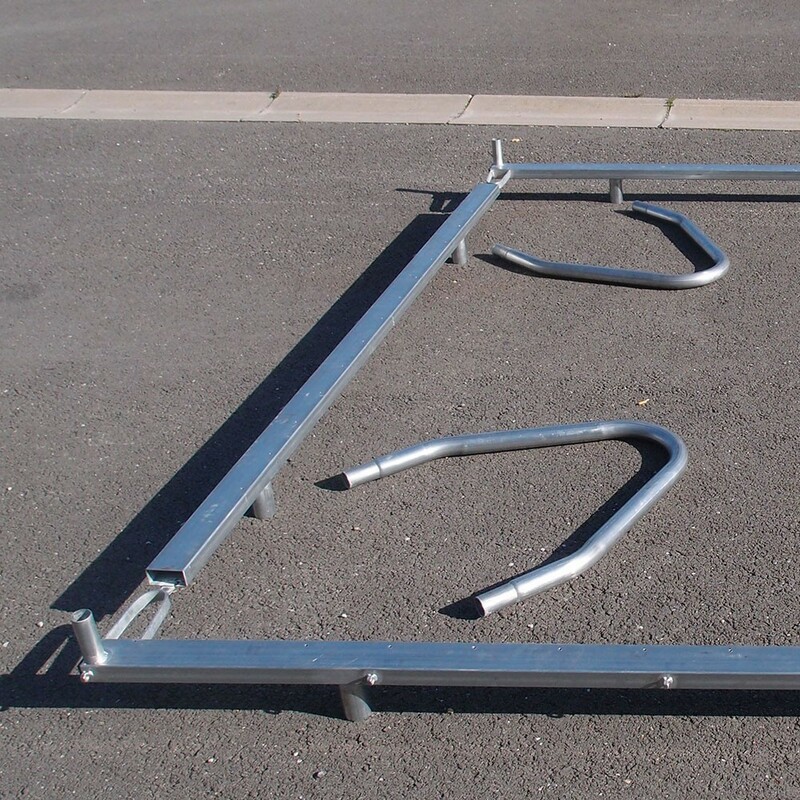 This trampoline also has a real door set on hinges. 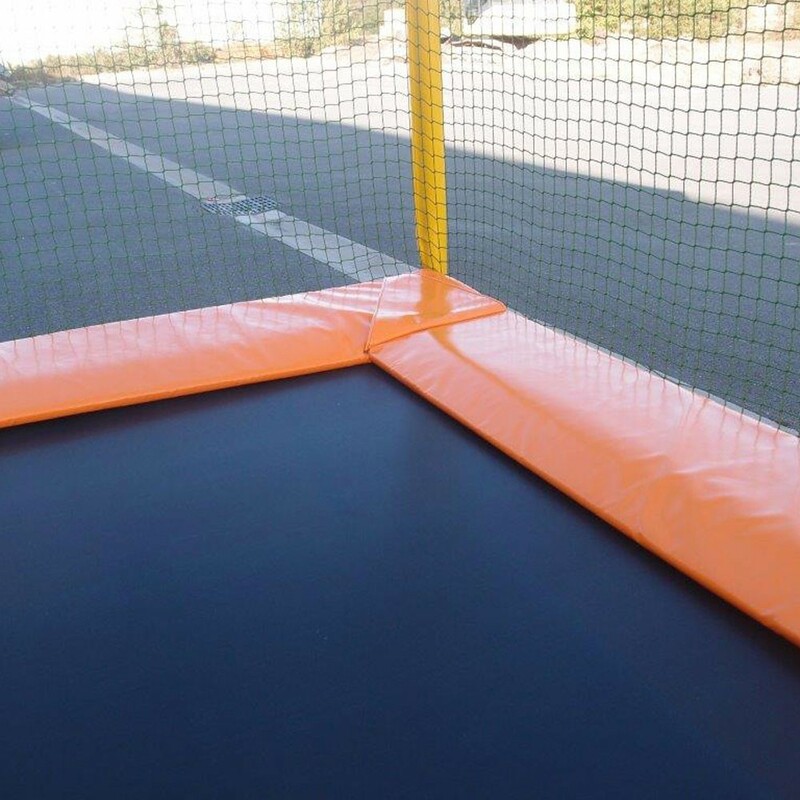 - Regarding safety, this trampoline is equipped with a thick frame pad that covers all of the spring and structure area. 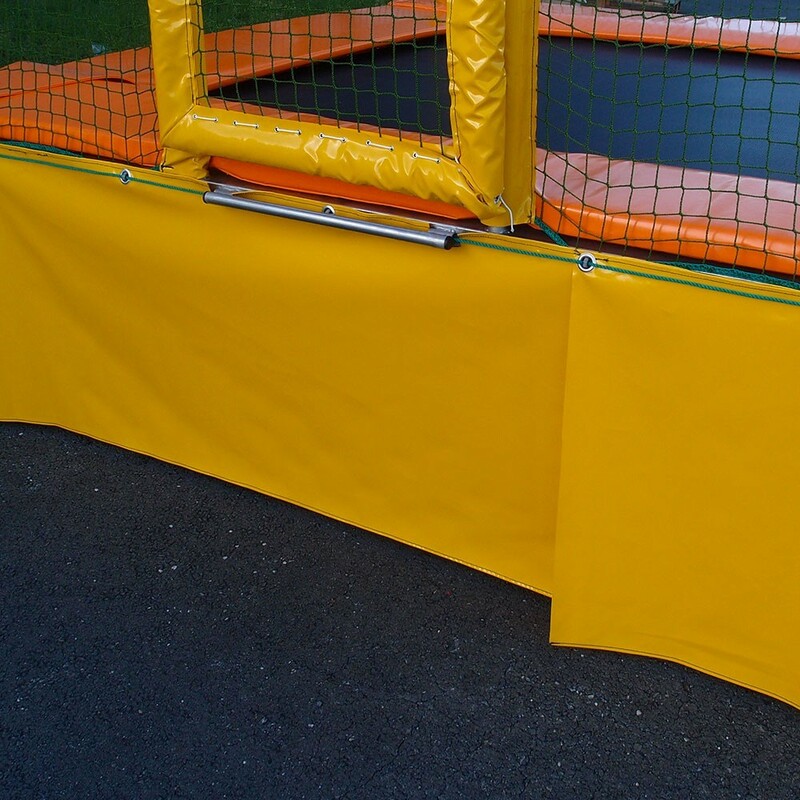 Filled with very resistant polyethylene foam, these frame pads with break any falls. 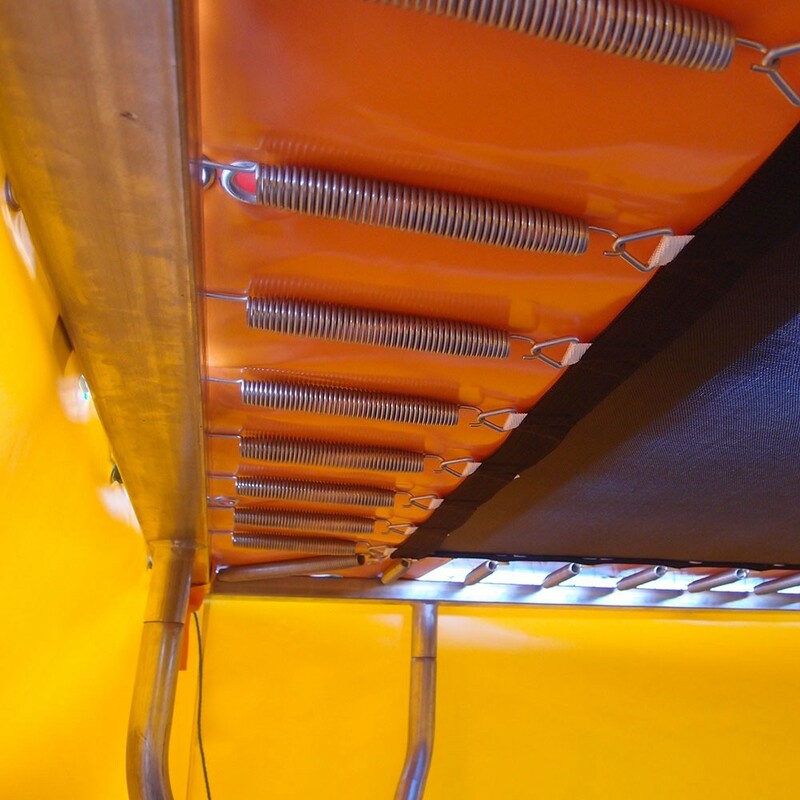 - The 56, 215 mm long springs provide all users with an excellent rebound. 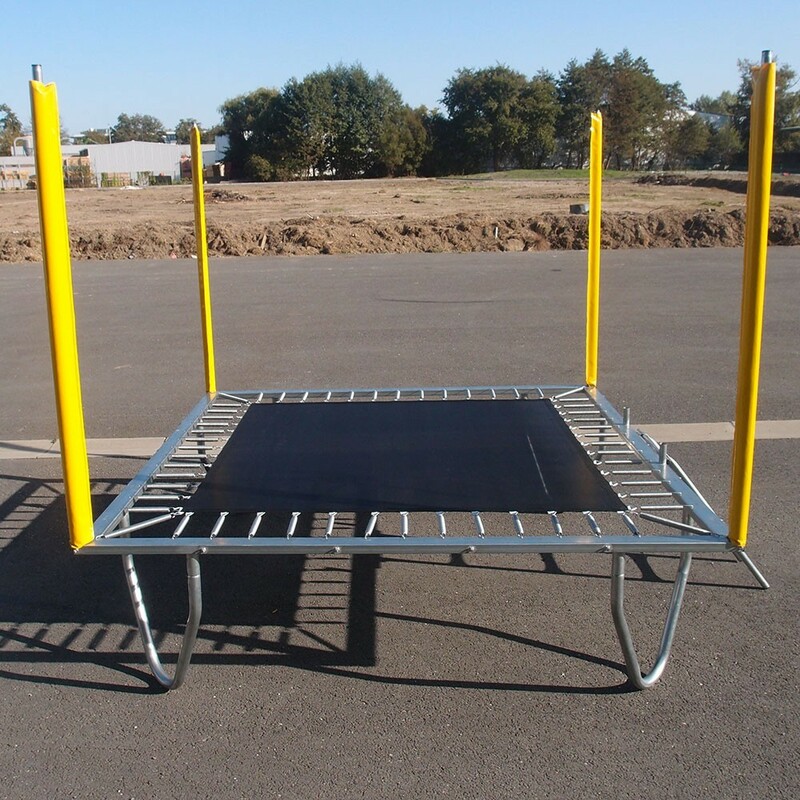 - With this trampoline for professionals, a ladder and an entrance mat are provided. 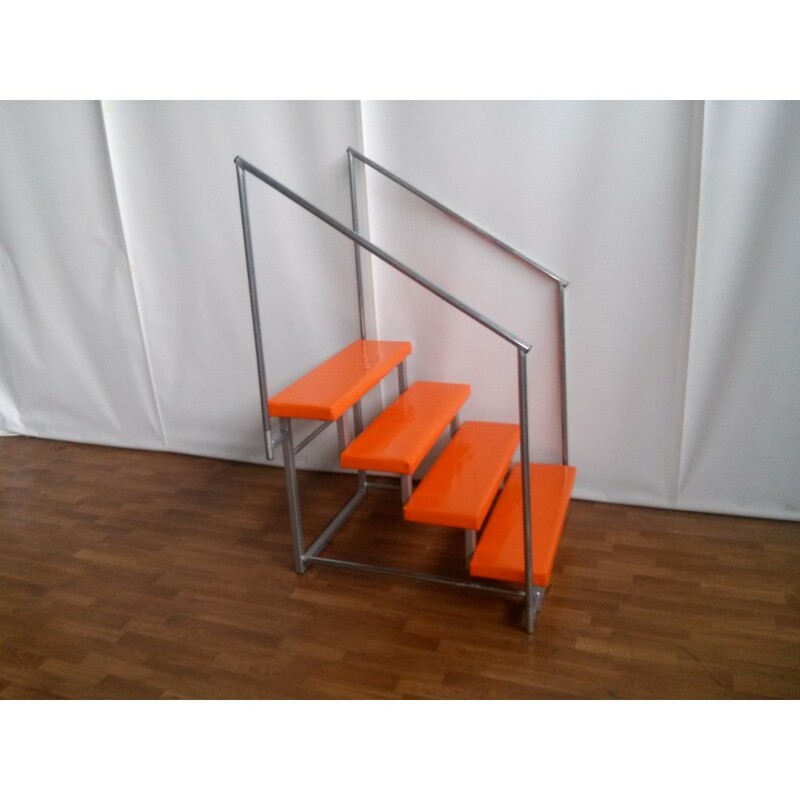 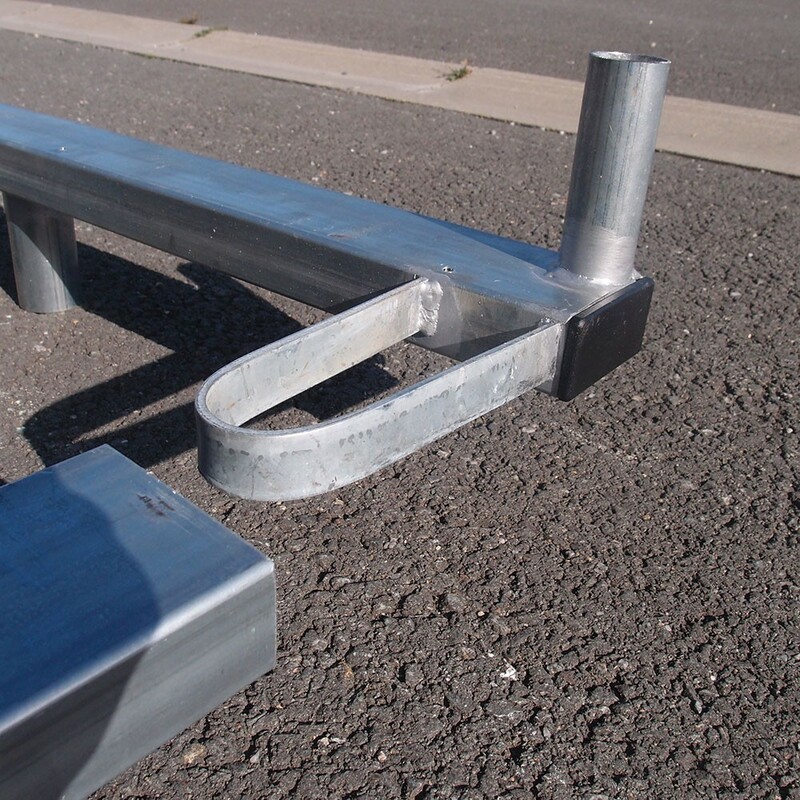 However, you can choose a set of stairs with handrail, to replace the ladder, for only 166.67€ (VAT excluded). 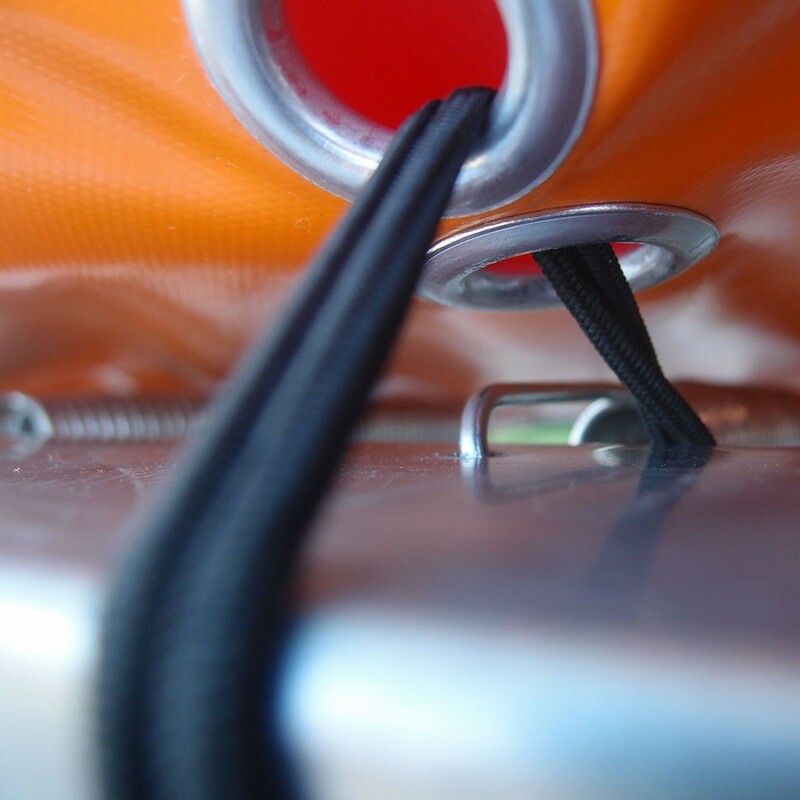 - The skirt set up all around the base of the trampoline is an important security element. 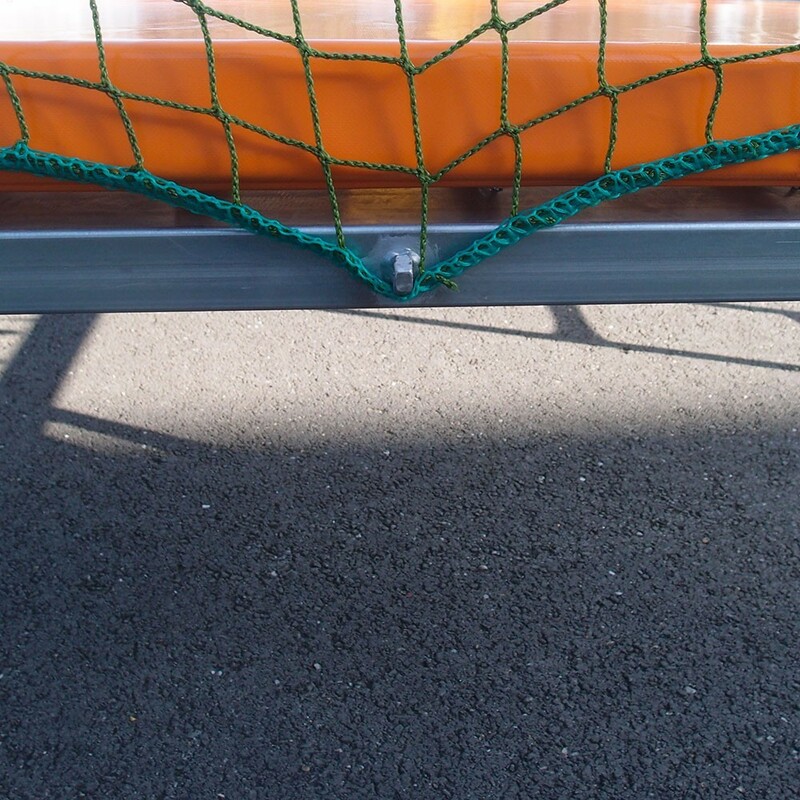 It prevents a young child from slipping underneath. 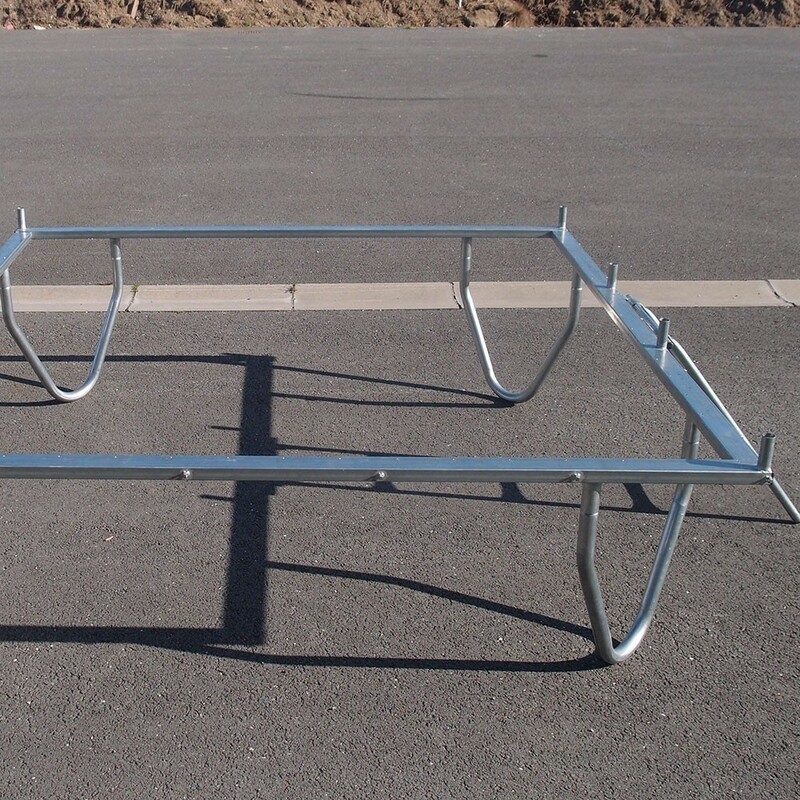 The colour may be customized, with your business's logo added on. 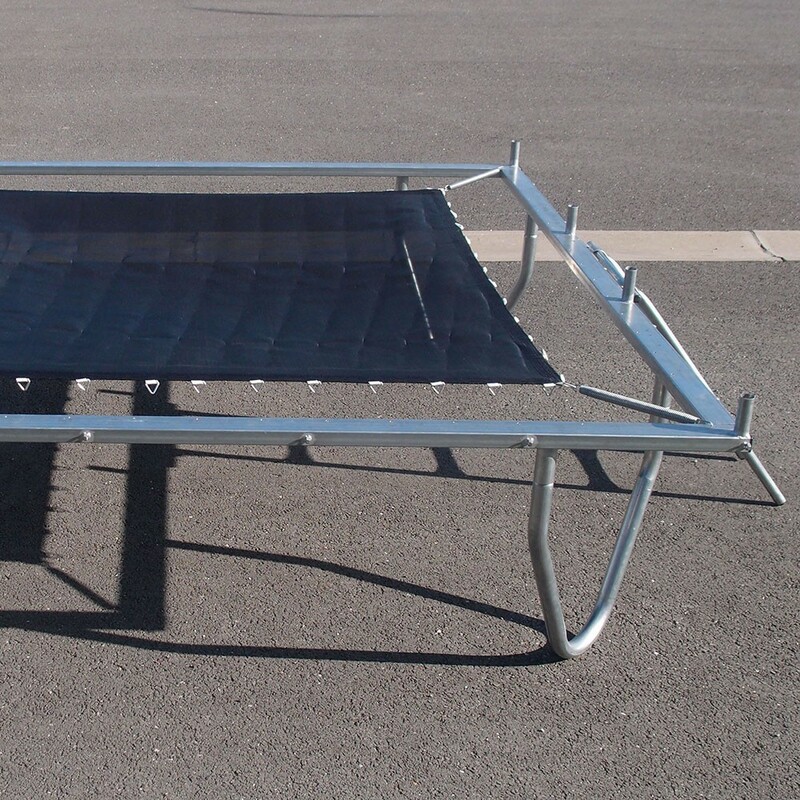 - Installing this trampoline does not require any particular skills.